We stopped here for lunch during our full Katy Trail Trip on day 2; Sedalia - Rocheport. (Trip was Aug. 17-22, 2018). It's right across the street from the trailhead. Very easy to find. The waitress was incredibly friendly and they appear to be used to the Katy traffic. (and they are not angry about it) Smoking is still allowed in this place BUT they have a giant smokeater machine so it didn't actually smell smoky if that makes sense. The trip from Sedalia was a bit uphill and the trail levels off right after this stop. Pretty typical bar food but it was exactly what we wanted that day. Beers were cold and water glasses were giant. We stayed at the Katy Trail Junction B&B. You could throw a stone from the trailhead and hit Jerry's B&B. He recommended Deon's and we all thought it heads above any other cafe/grill/bar we visited on the trail. Good fud! The food was OK, nothing more, noting less. We had burgers. Friendly people. Smoking is still allowed here. Cough! Good inexpensive food, friendly waiters, and right on the trail. We got there after the lunch rush and it was almost empty, good service. Just read on their FB page that they're closing for the summer on 6/20/15, open again on Labor Day. Any other eateries open in the evening in Pilot Grove? Not much, just a burger joint. You might want to push it to Boonville, tons there! And the Casey's store has good carry-out pizza. We'll be there before it closes, and we're already booked with Jerry (lunching in Booneville the next day). Posting this for anyone else who may be planning to overnight in PG. Dagnabit! Deon's is my favorite mix-with-the-locals stops on the Katy and I will be going through there mid-July. I was there last year and there was a table of a dozen very senior citizens and I had a wonderful time talking to them. Maybe an earlier trip is in order? Great food and great service! It is located right by the trailhead which was great after my 60 mile ride. The food was prepared perfect. thanks for your comments, I'll be camping there and I will need a good dinner and beer. We stopped for lunch during a 50 mile ride. This has a small town bar atmosphere and menu. The food was good and the beer was ice cold. The service was great and the folks were friendly and just plain fun to be around. We'll definitely be back next time we pass by. I agree. We passed Pilot Grove on a Saturday afternoon around 2:30 initially planning on going to Becky's Burgers but it was closed. Pilot Grove seems like a ghost town but we went into Deons and it was great, everyone was super friendly and the food was good bar food. Deon's is a small town bar...nothing more....nothing less. Pilot Grove is at the end of our first leg when we ride the whole trail and we always eat there. Colorful would be my description. We biked from Sedalia to Rocheport this past Saturday and went to Deon's for lunch. We thought the cheeseburgers and fries were great and certainly hit the spot after our ride. The people were friendly and the restrooms were clean. 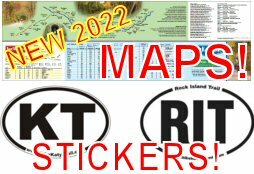 I check this site sporadically, but I still remember a previous post on this forum in which someone representing the trail towns was asking, "What can we do to bring more people into our Katy Trail towns, so they'll spend a little money our way?" A couple of people suggested that the townspeople needed to be a little friendlier to the bikers in order to gain their business. Friends, based on the first 2 comments in this post, it's crystal clear why some townspeople might not be thrilled with any dismissive, condescending, patronizing, or high-maintenance/low-feedback attitudes that some (thankfully, not all) of the bikers seem to exhibit. Many of these towns are developing, and they have to start somewhere. I couldn't agree with Biker from Farmington more. If you're not having ; lower your standards. If you take time to apreciate the locals they just might take time to apreciate you. Fine dining it was not, but the place had a nice character. Plain hamburger, plain tater tots, plain beer, fun playing shuffleboard; just a simple diner among friendly people. Sometimes, a place like that is just where I want to be, and I liked it! Last time visited, wanted to make nice with the locals. Took some flowers for the boys at the bar. Before I could get in, was jumped by 3 junk yard dogs. After a savage 4 hour battle, I staggered in with what was left of my body and flowers. Guys took one look at me asked about the dogs. One was beyond saving, so they decided to BBQ him. They were proud of me. Come to find out everyone in that bar hated those dogs. Bought me drinks. I love those guys, they are having a parade in my honor on the 4th of July. Biker dude saves town. Just try to get that type of entertainment at your average snooty piano bar. By the way.....did the flowers work? From reading the account of this event, it appears that it is immaterial whether the flowers worked or not. There was a BBQ, a pending parade in honor of biker dude, and he got free drinks and probably to the dismay of the local gents he fell in love with them. Sad tail... Word was just received that biker dude past away. All signs point to his cause of demise as infected dog meat. Surly the parade on the 4th will be cancelled. The bar is under new management, by my mother and I, i hope everyone does stop back in the try the place out and please give feedback. We have all new foods, and the beer is always cold. We have all domestics, and a few imported. drinks and protein receive a passing grade. (I always laugh at the "best cheeseburger"
there aren't any Ruby Tuesdays' along the trail. Is there anyplace to sit where no smoking is allowed? We may be riding that way this weekend, but our riding buddy can't be around smoke at all. It's kind of a dumpy place, but the people are friendly. A large grilled ham & cheese sandwich, huge order of fries, and two draft beers set me back around $8. Easy access from the trail and about the only place to get food. The service was friendly. Average bar food. Stopped into Deon's Bar & Grill from the trail. Easy access from the trailhead, and great service. Filled up my water bottle & camelback with ice & water.